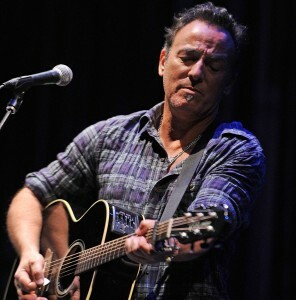 Bruce Springsteen continues to pull out some cool surprises on his current tour down under. He’s been including some great tunes by the locals into his mix. We’ll post videos when we can. I’ll add them as I get them. So far they’ve included Inxs’ “Don’t Change.” AC/DC “Highway to Hell” (wth Eddie Vedder) and Lorde’s “Royals.” The Easybeats “Friday on My Mind” and even the Bee Gees “Stayin’ Alive.” I’m really hoping for some Split Enz!!! Tom Morello is on this tour as an extra guitarist. There are four of them now on the stage as he joins Bruce, Nils Lofgren and Steve Van Zandt.